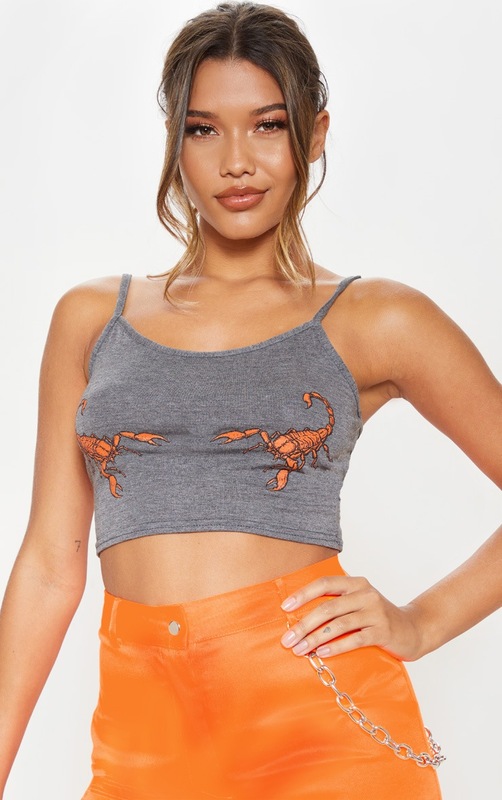 This cropped cami top is perfect for the new season. Featuring a grey material with a scorpion print and thin straps. Team this with cargo bottoms and strappy heels for a look we are loving.